Over the festive period while we were all out of the office and spending time with family, the amount of features written on the subject of Fashion hire, and surrounding the topic of creating a sustainable wardrobe was incredible. This article below in the Observer Fashion – by Leah Harper @theharpsbizarre on Sat 22 Dec 2018 received over 300 shares and promotes the benefits of subscribing to fashion libraries because they saves money and cuts out waste. “With the sales in full swing and festive soirees dominating social calendars, fast fashion is showing few signs of slowing down. But for those consumers with more parties than pounds, fashion libraries – where clothes can be rented rather than bought – are becoming increasingly popular. As the party season continues, the appeal of borrowing instead of buying is on the rise. It allow partygoers to wear items that may be beyond their usual budget and means they aren’t under pressure to wear them to every possible occasion in order to feel they are getting their money’s worth. Fashion libraries allow users to check out clothes, wear them for a set period, then return them to the library (where dry-cleaning is usually taken care of) in exchange for something new. Some also offer the option to buy – ideal if it turns out you can’t bear to say goodbye to the item after all. Renting clothes is not a new concept: high-priced items worn for a single occasion, such as a prom night or a wedding, have long been available for hire. Sites such as Front Row and Girl Meets Dress offer designer items at a low cost – the latter specialising in dresses and catering for events such as races, premieres and awards. But subscription services, which offer long-term borrowing on everyday items, are beginning to gain traction. Westfield shopping centre in Stratford, east London, launched the first streetwear hire pop-up store, The Drop, earlier this month, offering items for hire (starting at just £10 for four or seven days). It focused on streetwear styles – trainers topped the list of the most-coveted item on show – rather than just dresses. Available apparel also included a Maharishi tiger-style tour jacket (worth £750 new) and a Dirty South padded jacket (worth £210). The trend for renting clothes also has the scope to tackle other forms of “throwaway” fashion: for example, the US-based subscription service Le Tote invites users to choose from classic or maternity ranges. For pregnant women, the fact that clothes will only be worn for a short period is perhaps more easily understood than it is for those of us who vow to wear something for years because it cost the same as a month’s rent. With UK households sending 300,000 tonnes of fashion waste to landfill each year, and the average number of times a garment is worn before it is retired dropping by 36% in the past 15 years, fashion libraries offer an ethical solution. According to research by Westfield, seven out of 10 UK shoppers would pay to rent “the hottest fashion item of the moment”. For 33% of them, the appeal of renting clothes lay in saving money, while one in eight were motivated by the desire to shop in a more sustainable way. It’s not just in the UK that shoppers are keen to maximise wardrobe space. At Lena fashion library in Amsterdam, subscriptions allocate customers points that can then be “spent” on renting new and vintage clothes, alongside the option to buy. In Gothenburg, Sweden, fashion library Klädoteket offers lease periods of up to three months – 450kr (£40) for two items, 650kr (£57) for four. Items range from sequin dresses to baseball caps and, if customers decide they want to own an item they are renting, they will be given 15% off the retail price. Tags: Uncategorized. Armarium - Luxury on Loan, can i still hire from Chic by Choice?, can I still rent from Chic by Choice?, celebrity dress hire, Chic by Choice closed, clothing rental subscription uk Wear the Walk, Designer Dress Hire UK, Designer Dress Hire UK Hire, Designer Dresses for hire, designer rentals uk, does rent the runway ship to uk, Dress Hire and Evening Dress Hire, Dress Rental in UK and Europe, frontrow, girl meets dress uk, Gwynnie Bee hire, Hire The Catwalk, Is clothing rental the secret to making fashion sustainable?, MyCelebrityDress.com, OPRENT, oprent dress hire, plus size dress hire, premium destination to rent high fashion, Rent a Dress at Chic by Choice, Rent High Fashion, rent runway nyc, rent the runway business plan, rent the runway uk men, rent wedding dress, Renting Clothes Instead of Buying Them, Runway Rentals, Sharing Economy For Fashion, Tulerie rent clothes, Uber for clothes Chic by Choice, UK's 1st Celebrity dress hire site, Ways To Rent, Wear the Walk. Being a wedding guest can be very stressful sometimes. What to wear to a wedding, how to wear a wedding guest dress and will I ever be able to wear it again and justify that ¨cost per wear¨ are some of the questions we tend to have. But who are they going to be? Amal Clooney, Ellie Goulding, Karlie Kloss, Victoria Beckham and of course Meghan Markle are some of the women that will attend and we can´t wait to find out what they will be wearing on the day. In the meantime, we thought we would do what we know how to do best at Girl Meets Dress and style them with our unique rental dresses UK. dress UK from Attico If you want to go for this look too, you can rent the dress now too on our site. For Victoria Beckham, we reckon she would look as chic and elegant as always for this Royal Wedding 2018 in one this wool-blend midi dress designed by her. Are you trying to figure out how to dress for an autumn/winter event? This is a great option, hire a dress! Finally, we are most excited to see what will Meghan Markle wear for Princess Eugenie Wedding. We have decided to style the newest addition to The Royal Family on this classic cut dress by GHOST. You can also rent the dress with us. We can’t wait for the Royal Wedding day on the 12th of October to find out what guests will be wearing. Dress overload! rent the runway uk, rent a dress, dress hire uk, dress hire, rent a dress uk, dress hire london, designer dress hire, hire a dress, dress rental uk, dress rental, designer dress hire uk, hire dresses, hire designer dresses uk, hire dress, rent dresses uk, hire a dress uk, rent designer dresses uk, dress rental london, rent a dress london, dress hire glasgow, rent dress london, girls meets dress, rent the runway uk equivalent, rent designer dresses, borrow a dress. Tags: Uncategorized. designer dress hire, Designer Dress Hire UK, Dress Hire, dress hire glasgow, dress hire london, dress hire UK, dress rental, dress rental london, dress rental uk, Eugenie wedding dress Erdem, Eugenie wedding dress Jenny Packham, Eugenie wedding dress Suzannah, Eugenie wedding dress Suzanne Neville, Eugenie wedding dress Temperley, Features. 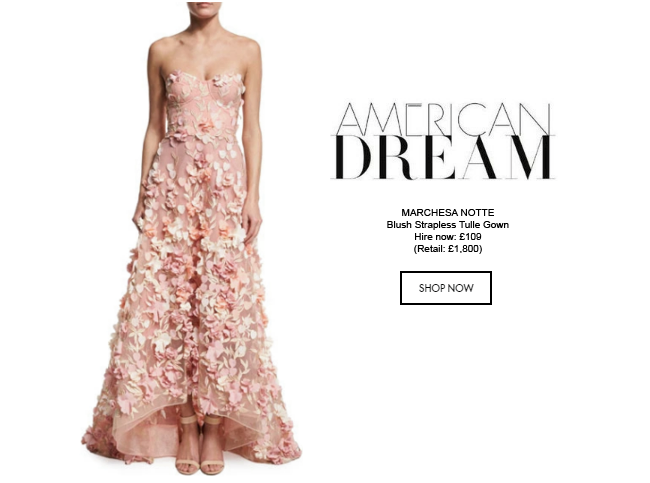 borrow a dress, girls meets dress, hire a dress, hire a dress UK, hire designer dresses uk, hire dress, Hire dresses, rent a dress, rent a dress london, Rent a dress uk, Rent designer dresses, rent designer dresses uk, rent dress london, rent dresses uk, rent the runway uk, Rent the Runway UK equivalent.